What a summer! Already I have had wonderful fun times at Glastonwick, Gate to Southwell, Ledbury Poetry Festival, Indietracks, Sidmouth festivals and joyous collab sessions at Hebden Bridge, Festival at the Edge and Camrbidge Folk Festival with my lovely Coven pals, and still found time to fly to Canada and drive 1700 miles across it from one ocean to another. Oh and I became 30! RIP my twenties, we hardly knew ye. If you didn't see me at any of those, fear not! There is still much merriment remaining of this jam-packed festival season including Shrewsbury Folk Festival, Otley Folk Festival, Berkofest, Musicport and some others still TBA. My life is a tremendously lucky one and I love you all. If you didn't see it, I was on the bloody televsion! Yes I was! No, not a re-run of me losing the Weakest Link in 2009! No, not a re-run of me losing the Chase in 2017! 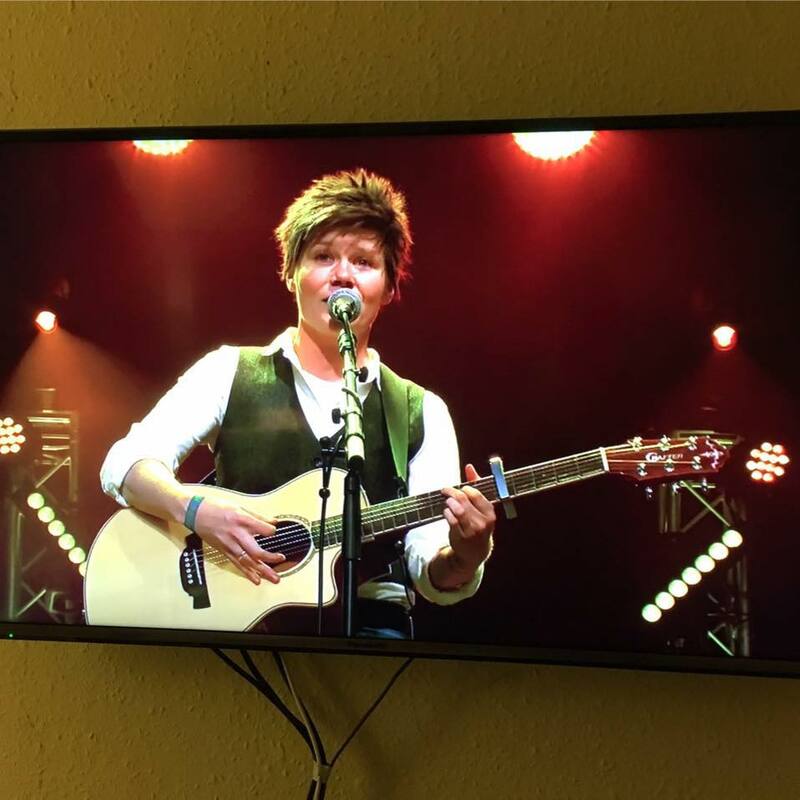 As part of the incredible gig Coven had at Cambridge Folk Festival, we were filmed by Sky Arts and subsequently featured on thier Highlights programme! Along with Louder Than War and the Guardian (THE GUARDIAN ?!?!?! ), Sky Arts were the third person to call us a highlight. Hooray! Here's me on the TV. Last but by no means least, I am off out on tour with my fellow Covener and everybody's favourite vegan, it's the Folk Scene's Hannah James! We decided to set out on the road togethr to get to the bottom of this question of what is folk by combining our original and tradtional repertoires and doing some never-before-seen stuff. I am really looking forward to playing in some new places and hopefully to some new people and I would love some of you guys to experience her incredible music for the first time too. The shows will be double headliners, so you'll get a good chunk of me AND a good chunk of her which is a lot of chunk for your buck. What am I talking about? Who knows. Come to the shows and see! Places me and Hannah are coming to: FLECKNEY (LEICS); WIRKSWORTH (DERBS); BATH; MALVERN; BIRMINGHAM; BRIGHTON; LONDON; BRISTOL; NEWPORT; CHESTERFIELD; LEEDS; HARTLEPOOL. Details for these and plenty other fun things at the gigs page. HOORAY! Hope to catch you at one of these shows.